Tange was born in the wilds of Africa in 1973 and then captured and imported with other elephants to North America at the age of five. She and another orphaned calf named Zula were sold to the Chehaw Wild Animal Park in Albany, Georgia in 1978 where they lived for 26 years. In July of 1994, a 500-year flood swept through the city of Albany, and Chehaw Wild Animal Park was literally under water. Thanks to the dedication of their staff, Tange and Zula survived. Sometime after the flood, Tange gained a reputation as a difficult elephant. Although she was not aggressive, she was often referred to as a "runner." When things got stressful, Tange attempted to run away. In 2002, the Animal Park decided to close their elephant exhibit and after many months of researching other facilities, chose to retire Tange and Zula to The Elephant Sanctuary. At the time, The Sanctuary was expanding its 200-acre habitat to 2,700 acres, and a habitat for African elephants was under construction. 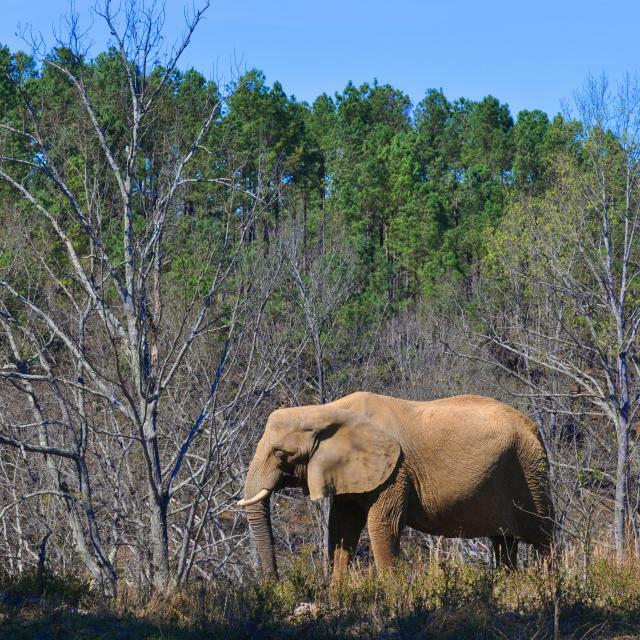 On February 19, 2004, Tange became the 10th resident and the first African Elephant to retire to The Sanctuary. Zula was right behind her. They were also The Sanctuary’s first elephants to be retired and transported as a pair. One month later, Flora arrived. Today, Tange is considered the “social butterfly” of Africa Barn. She and Sukari have grown incredibly close and are often heard trumpeting and rumbling together in the habitat. Tange also frequently encourages playful behaviors from Flora. 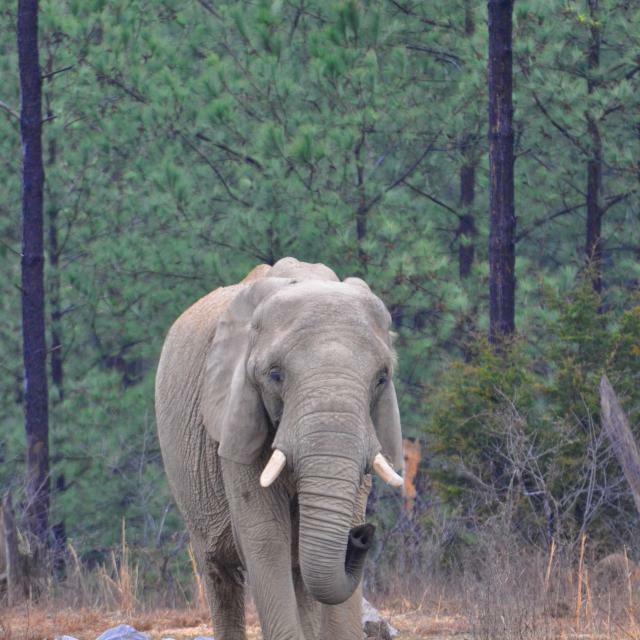 Similar to human hand preference, Tange shows tusk preference, tucking hay between her trunk and her right tusk as she travels through the habitat. She is also frequently seen digging and dusting in the dirt.